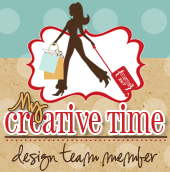 With all of our Sneak Peek weeks, I LOVE to do some FUN giveaways! Emma randomly picks & announce all winners on Friday, September 21st during the blog hop release happening @ 12:01am PST in my video! GOOD LUCK! Very sophisticated card - love the fence!! Absolutely adorable. Love the colors. The background for the card is too cute also. Wow that card is beautiful I don't really like black cats but that one looks awesome, thanks for sharing! What an elegant Halloween card. Nicely done. This is so adorable, Nancy! I just love how you turned the tag into a headstone! So clever! Nancy ~ CLEVER, CLEVER CLEVER! The tag as a headstone ~ I would have NEVER thought of that! Placing the spider over the whole ~ brilliant! The fence is to FABULOUS ~ I have to try this!!! 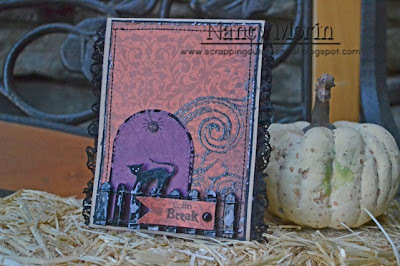 LOVE the papers and this is just SPOOKTACULAR!!! AWESOME job as always!!! I TOTALLY agree about Emma's stamps!! What a fabulous and fun card! Love seeing these dies used for something they aren't! So love Emma's stamps and dies!! Love the sort of grunge feel to this. Looks great. 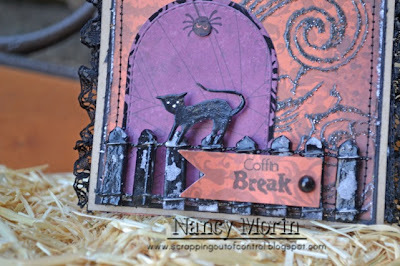 Colorful Halloween creation showcasing the stamp and dies. I love that you used the tag as a headstone. Smarty pants. This is so adorable! Love how you used the die and the sentiment is great!! very SPOOKY card - love it! Another fun tombstone! Very nice colors and textures! TFS! Good idea to use the die as a tombstone!!! Nice card. This is so spooky cute! Love how you used the die. Very cool card, love the scene!! A Fabulous and Fun card!! What a GREAT spooky scene! Your card has so many neat details! It's fabulous - well done! Great card. Using the tag die as a headstone is so creative. Love the sentiment ~ Coffin Break. Too cool! Thanks for sharing. So super cute! I love the mini tags and the new die! Creepy cemetery! I love this idea! Can't wait to give it a try. Very creative use of the tag die. I like how you used the spider. Awesome card!! Thanks for sharing!! Scary card. The scene that you made is fantastic. Thanks for share. Spooky card. Love it! The scene is like a story in itself. I love the detail of your card! Can you say AWESOME!!! That fence totally ROCKS!!! 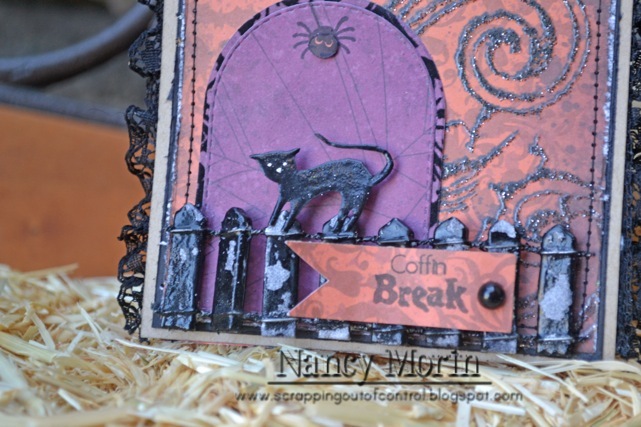 Such a cute Halloween card and great use of the tags. Great job on your first stitched card...love the lace too and wonderful stitching. The cat on the fence is great. Just love the embossed paper you used ant the antique looking colors. Love this combination of colors and anything with a cat is 'the best' in my book! Thanks for sharing...so many good ideas...don't know where to start scraplifting first...LOL!